Welcome to Edison School. Welcome to a centre for learning where children are encouraged to reach and grow within an emotionally supportive community. Welcome to a school that pushes students academically but never forgets to nurture creativity, curiosity, social development and physical well-being. We welcome you to join us as we celebrate achievement and imbue a lifelong passion for learning, exploration and self-improvement. Our rigorous academic program is complimented by strong athletics, a broad arts program and social development through community involvement. Students from across all grades interact often, through whole-school events and inter-classroom volunteerism. A philanthropic mindset is encouraged from a young age, and our Upper School students are required to participate in the Duke of Edinburgh program. By graduation, most of our students have completed at least one Advanced Placement course, with many high school graduates entering university with nearly a full semester of university credit (some of our past graduates have successfully completed a full year of university credit). Our curriculum has been refined through years of experience, and we are constantly striving to improve upon our strong foundations. 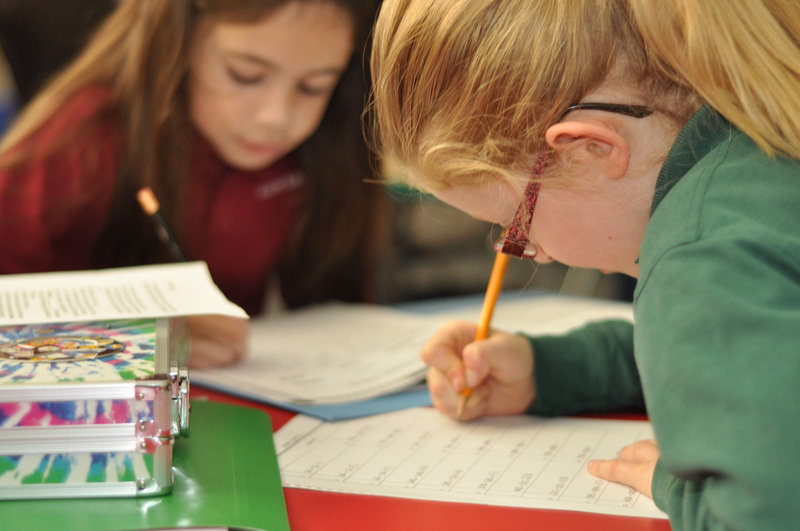 National core requirements are fulfilled and built upon; we currently teach the Singapore Math Programme, and our language arts program is comprehensive and expansive. Vocabulary, reading comprehension and writing are taught from Kindergarten through Grade 12, and language development is further supported through other core courses such as social studies. A broad and growing range of elective courses are offered, and students’ individual interests are fostered and developed. When we founded Edison School in 1993, our intention was to provide a unique experience for students, faculty and parents. Generated from ideas and energy, Edison has grown but never veered from our founding principles. Values are our foundation. We believe that providing an excellent academic experience without simultaneously building character is both myopic and hollow. Edison educates learners in ways far beyond academics. Relationships amongst our three main pillars (students, staff and parents) are strong and interactive. Students interact with other age groups, are taught acceptance, respect and, most importantly, ethics and honesty. Self-confidence and self-advocacy are continuously cultivated at every grade level. Although Edison has increased in numbers, our enrolment remains near our desired capacity. We intend to maintain our intimate and nurturing size; every student is significant. Our high expectations of Edison students are no less than we place on our staff and ourselves. We are proud that the Edison community still responds to the triumphs and challenges by fostering family-like relationships amongst all. Constructed on a foundation of transferable and core human values, rather than trends and materialism, Edison School remains strong as we approach our twentieth year. Our graduates are a testament to this strength as they promote our core values of integrity, academics and community in every aspect of their adult lives.